There are a ton of smart people making great apps that you can use to help you find and learn about marijuana in Seattle. Unfortunately, the developers of these apps sometimes encounter difficult relationships with Google and Apple, meaning that useful sounding apps may get kicked off the Google Play Store or Apple’s App store. In addition, there are also lots of dead apps flooding these markets whose information may be outdated and not helpful. We took a look and compiled a list of the best marijuana apps available for your iPhone or Android device right now. 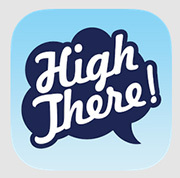 Leafly is arguably the king of marijuana related apps. Leafly compiles user reviews of strains, edibles and other cannabis products and then connects it too an in-app map to help you find out where you can pick those products up. The app also compiles marijuana news articles and lots of other cannabis related knowledge, making it a one stop resource for anything you need to know. 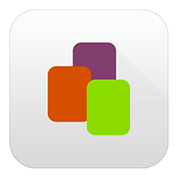 Combined with a beautiful and functional interface, this is one app that almost invaluable these days. 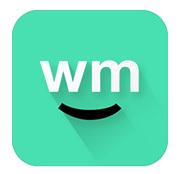 One of the oldest marijuana related apps still on the market, Weedmaps provides a fairly similar service to Leafly, but has an even longer history and index of strain reviews. Weedmaps also has an integrated map function to help you find where you can score the bud, edibles or other products you might want. While Weedmaps might not necessarily outshine Leafly, both are free and well worth the download, especially if you’re having trouble finding the information you want with just Leafly. 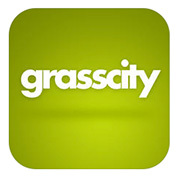 Grasscity Community is a fairly simple app that connects to the Grasscity Community forums. The best thing about this app is the strength of community that has been cultivated on the Grasscity forums. Well moderated and very large, with more than 500,000 users, Grasscity Community is an excellent place to go if you want to join or start a conversation about anything weed related. If Leafly or Weedmaps reviews aren’t getting you the answers you hoped for, cruise over to Grasscity and you’ll likely find someone who knows about whatever you’re curious about and would be happy to share. This brand new app has been grabbing national headlines with its Tinder-like approach to connecting local smokers to one another. Swipe left and right to start meeting people in your area who share an interest in marijuana with the fun and addictive interface. While this app is new so the user base is still growing, given a couple weeks there should be plenty of fellow marijuana enthusiasts ready to get linked up with High There! Canary is another fairly young app and is in fact still in invitation only beta testing. Canary was developed in Seattle by two UW students and is a delivery service for medical marijuana patients aiming to provide the same convenient sort of service that many users would expect of uber. Canary was launched with a lot of buzz and some very positive reviews, but it’s worth remembering that marijuana delivery is very much so in a legal gray area and the future of such services is still in question. Kevin Ross has been a part of the local recreational marijuana scene since its' inception while surrounded by family and friends with unique and intimate ties to the industry.